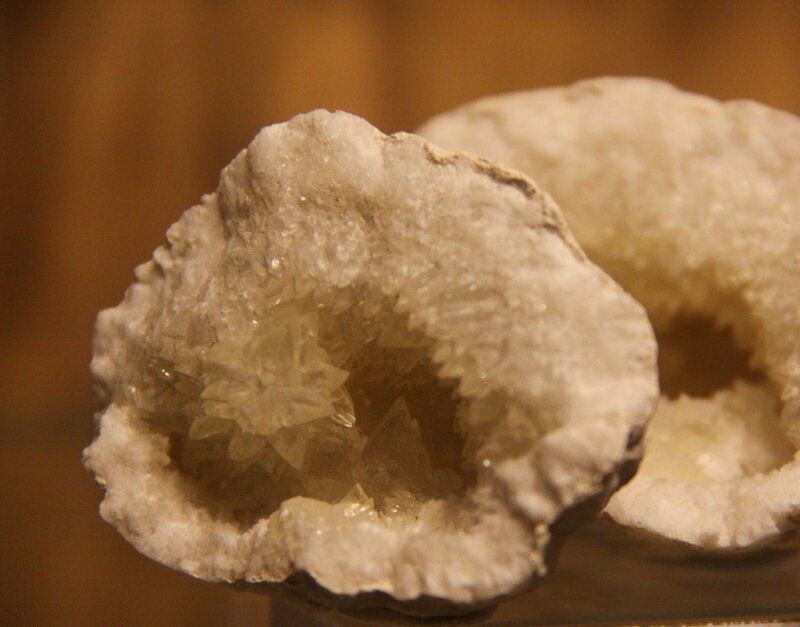 Description: Both halves of this geode have dog-tooth calcite crystals, and specially in the left the growing is like a cactus. The two halves fit perfectly together, and there is no damage outside. Was purchased in 1.998 in the Chebika´s oasis, near the Algeria border. One of the fisrt pieces in the collection.